Franz C. Thiessen was born on 6 August 1881 in Rueckenau, South Russia. His parents were Kornelius Thiessen and Katharina Nickel Thiessen. Thiessen attended elementary school in Rueckenau, secondary school in Orloff, and subsequently took two years of teacher training at Halbstadt. He became a member of the Rueckenau Mennonite Brethren Church. He had a fine ear for music, and he led choirs at Rueckenau and Dawlekanowo in later years. In 1901, he married Lydia Wieler. The couple moved to Sagradowka, where Franz accepted a teaching position, but they moved back to Rueckenau after a few years. Lydia stayed near her relatives while Franz continued his education at Sevastopol where he boarded at the home of P.M. Friesen. In 1907, he acquired a teaching position in the Alexanderkrone High School. Lydia died of tuberculosis in 1908, and in 1910 Franz married her sister Margaretha Wieler. Franz taught twelve years in Dawlekanowo, a settlement in the Ural Mountains. In 1915, Franz was mobilized into the Medical Corps. Because of the pressures of war and revolution, the Thiessen family immigrated to Canada in 1925. At Rosthern Saskatchewan, he taught German and religion at the German-English Academy. In 1932, the Thiessens moved to Winnipeg where he taught German language, culture, and music to Mennonite youth in the city. In 1937, he was ordained as a minister and became the pastor of the Winnipeg North End Church. In 1934, he helped to establish the Africa Mission Society, independent of the General Conference Mission Board, with H.H. Janzen as president. The AMS sent Heinrich and Anna Bartsch to the Belgian Congo. Thiessen was the editor of Kleine Afrikaner, a newsletter that informed the constituency of AMS mission work. He was also a member of the City Mission Committee and the Canadian Mennonite Board of Colonization. In 1943, Thiessen became a teacher at the Mennonite Collegiate Institute in Abbotsford, British Columbia. He was active in the Canadian and British Columbia Conferences and other committees. He was especially active as a curriculum developer and planner for Bible Schools, Sunday Schools, Canadian and Paraguayan Church Schools, and choirs. One of his last major projects, was completing the Mennonite Brethren Conference song book. Thiessen died on 24 February 1950. Taken from My Father: Franz C. Thiessen by Kaethe Klassen. The Franz C. Thiessen fonds was donated to Centre for Mennonite Brethren Studies in 1991 by Victor Thiessen (son) from British Columbia. A further donation of personal papers came from daughter Kaethe Klassen, Winnipeg, in 1993. The Franz C. Thiessen fonds consists of sermon notes, minutes and correspondence relating to the Canadian Mennonite Board of Colonization, correspondence with Mennonite Central Committee, and correspondence with Mennonite Bible Schools and High Schools. 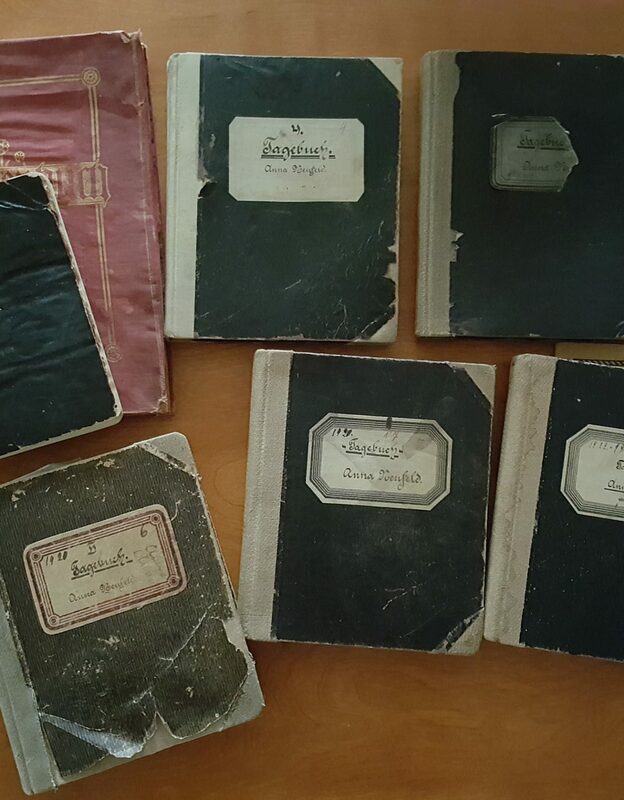 One file is on the publication and distribution of Richard Lange’s Sprach-Hefte. A complete set of the periodical publication, Der Kleine Afrika-Bote, is also part of this fonds although it is now located in the periodical section of Centre for Mennonite Brethren Studies. One file is on the important question of conscription for Mennonite men during World War II. Much of the correspondence regarding conscription is between Thiessen and David Toews and C.F. Klassen. The Franz C. Thiessen collection reflects his interest and activity in conference, school, church, and youth work. The documents were created predominantly in the 1930s and 1940s. They are primarily in the German language. Accession numbers are 1991–43 and 1993–24. See also NP108–1 for photographs related to F.C. Thiessen. Account book for expenses of Africa Missions Verein. – 1939–1943. Also in book, the record of a Vorberatung. – 1939. Correspondence re Africa Missions Verein. – 1939, 1943, 1944. Sermon notes. – 1933–1949, many undated. Biographical material from the Mennonitische Rundschau 8 November 1978, 6 December 1978, and 4 July to 7 November 1979. Articles on various subjects. – Undated. Legal documents. – 1908, 1913, 1941, 1943. Personal memorabalia. – 1815, 1905, undated. Correspondence, reports, and lists regarding conscription for young Mennonite men. – Predominantly 1939. Also 1940, 1943, 1944. Reports and minutes of the Board of Colonization. – 1932–1938. Correspondence, reports, and minutes of Mennonite Central Committee. – 1946–1949. Correspondence regarding “Sprachbuecher,” German textbooks for Paraguay and for other Bible Schools. – 1947–1949. Mennonite Central Committee newsletters. – 1944, 1945. Various committee and conference correspondence, reports, minutes. – 1932, 1936–1947. Correspondence, minutes and reports regarding the Concordia Hospital. – 1935. Correspondence regarding Bible schools and high schools. Responses to a 1943 questionnaire and other correspondence. – 1936–1949, predominantly 1949. Correspondence and reports regarding youth and music. – 1944, 1947, undated. Reports regarding the German language question. – Undated. Correspondence with G.H. Peters. – 1937. Correspondence with P.F. Froese, Germany. – 1949. Correspondence with A.H. Unruh. – 1936, 1937, 1944. Correspondence with B.B. Janz. – 1935, 1937, 1939, 1940, 1942.